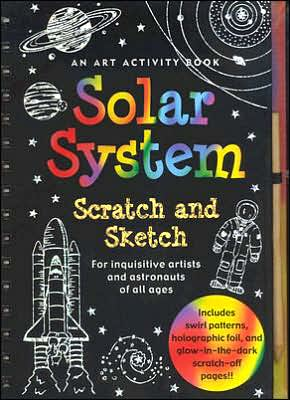 An Art Activity Book for Inquisitive Artists and Astronauts of All Ages. Explore the amazing world of outer space as you scratch pictures of planets, comets, and spacecraft to reveal glittery, swirly, and even glow-in-the dark colors beneath. Ages 6 and up.